MoreAt Gorden Giuliano & Associates in New York, New York, we focus our practice primarily on admiralty and maritime law. We represent the rights and entitlements of injured and disabled workers seeking compensation through third-party claims, Longshore and Harbor Workers' Compensation Act claims, and Defense Base Act claims. 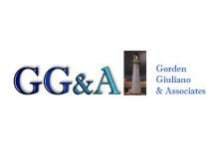 In addition, our law firm handles matters involving insurance law, aviation law, complex commercial litigation, product liability issues, environmental law, and commercial...At Gorden Giuliano & Associates in New York, New York, we focus our practice primarily on admiralty and maritime law. We represent the rights and entitlements of injured and disabled workers seeking compensation through third-party claims, Longshore and Harbor Workers' Compensation Act claims, and Defense Base Act claims. In addition, our law firm handles matters involving insurance law, aviation law, complex commercial litigation, product liability issues, environmental law, and commercial law, as well as many other legal challenges. We serve the needs and interests of clients throughout the greater New York City metro area and all across the country. The attorneys at our law firm possess decades of combined legal experience, and we have earned a reputation as one of the leading practices in the region for maritime, aviation, construction, insurance, corporate and commercial disputes. With our extensive experience in arbitration, mediation, and settlement negotiations, we can efficiently help you resolve your conflicts and achieve the favorable results you expect, and we also maintain a successful appellate practice, so we can help you challenge or defend a trial court's ruling on your case in order to work toward obtaining the justice you seek. For more information on how Gorden Giuliano & Associates can best serve your needs, you can contact our law office to schedule a free initial consultation.